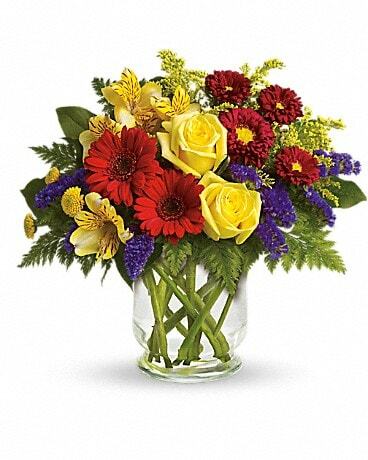 A summery mix of yellow daisy chrysanthemums, purple asters and red and orange carnations - arranged in a clear ginger vase and adorned with a cheerful green plaid bow - will make their wishes come true! 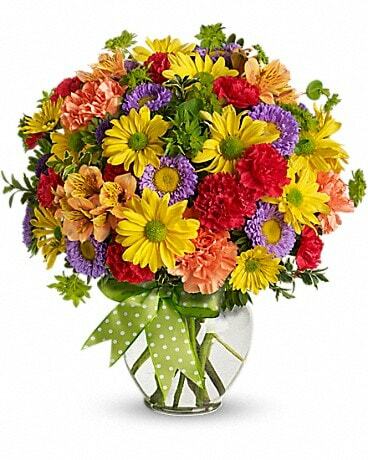 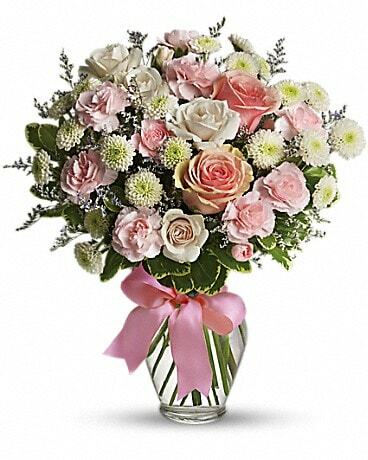 If you close your eyes and make a wish, perhaps someone will send you this deluxe version of our Make a Wish bouquet, with a big, bright bunch of fresh flowers in cheerful shades of yellow, purple, orange and red. 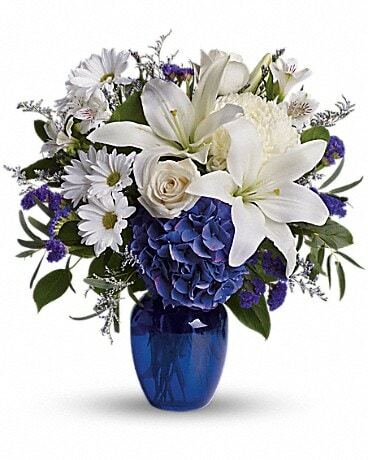 A scrumptiously pretty gift for any day of the year. 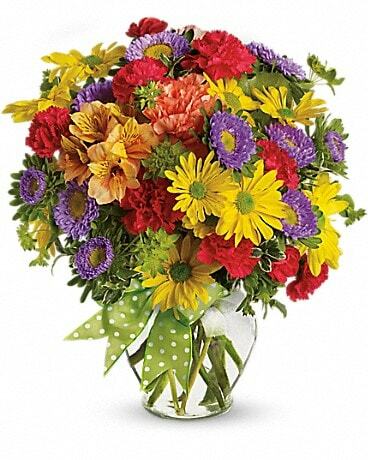 Make someone's dreams come true with this extra-special, premium version of our Make a Wish bouquet, featuring a bigger, brighter bouquet with even more blooms in happy hues of yellow, purple, orange and red! 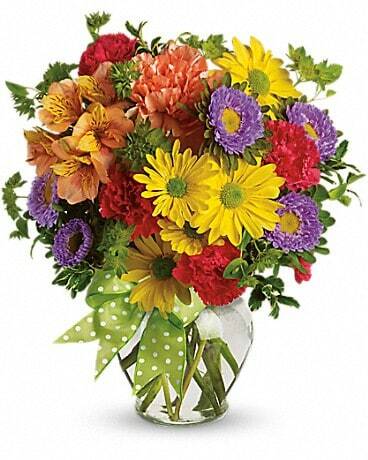 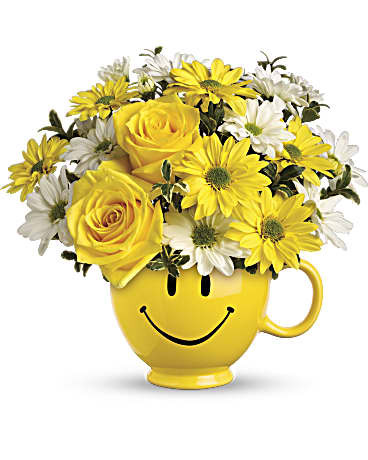 Whatever the occasion, it's an eye-catching display that's sure to make someone's day. Popular picks for every occasion.